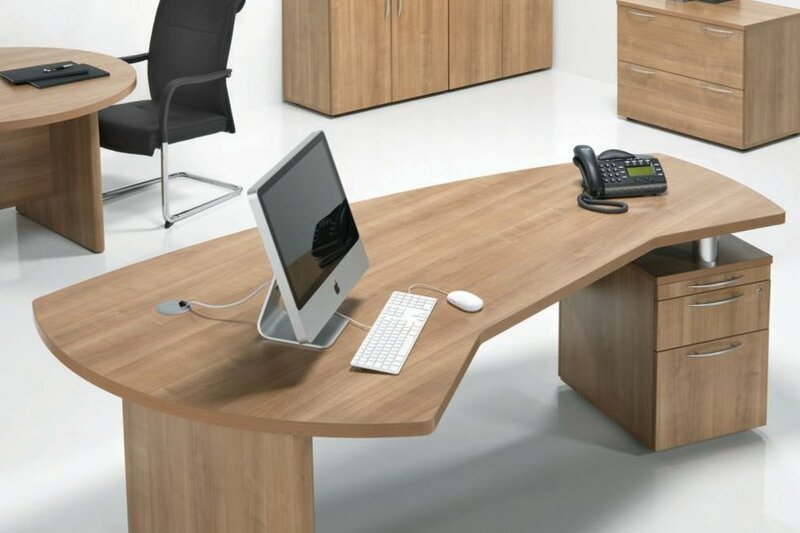 Rich and unique Cappuccino finish and 38mm thick tops give this range of executive office furniture an exclusive look. Fantastic value for money and free delivery and installation. Range includes storage cupboards and meeting tables. Please take advantage of our free in house space planning and design service in support of this range. Our designers will visualise your office space with 3D drawing and make your purchasing decision clearer and easier. This is another executive range that offers a great overall aesthetic appeal for a great price. Installation is free of charge and storage options are available in this range to complete your executive suite.